THOMAS CORBETT is a Liverpool-type lifeboat but of the twin-engined version which were the last to be built. This motor lifeboat was built in East Cowes by Groves & Gutteridge and was completed in 1948 with a donation from the Thomas Corbett Charity. She was of timber double-diagonal construction with a wooden canopy over the engine well, which afforded the crew a small amount of protection from the elements. The lifeboat was originally powered by two 18bhp Weyburn petrol engines but these were later replaced in 1964 by two Parsons Penguin 32 HP Engines. THOMAS CORBETT served at Ramsey RNLI Station, Isle of Man from 24 September 1948 until 20 February 1970. Twin-engined Liverpools were the first of the class to dispense with auxiliary sails as an alternative means of propulsion. Her two collapsible masts provided the radio aerial, enabling radio contact with the shore for the first time. Whilst stationed at Ramsey, THOMAS CORBETT was launched on service sixty times, saving ten lives. The 1960s was the era of the pirate radio stations and THOMAS CORBETT was launched on no less than four occasions to go to the assistance of the famous Radio Caroline anchored in Ramsey Bay. Refitted by the RNLI, THOMAS CORBETT came to Hoylake on 26 September 1970. Here she replaced another twin-engined Liverpool-type boat, Oldham IV, which had served at Hoylake since 1952 and had also been built by Groves and Gutteridge on the Isle of Wight. THOMAS CORBETT was to serve as Hoylake lifeboat until 1974, launching 13 times and saving 6 lives. In 1971 she was involved in one of the Hoylake crew’s most audacious rescues when saving two men from the tug DIANE. Coxswain Danny Triggs actually sailed the lifeboat onto the deck of the casualty, completing a rescue for which he was awarded the RNLI’s prestigious bronze medal. From November 1974 until 1982, THOMAS CORBETT served at Clogher Head on the east coast of Ireland, where she was launched 12 times. She was retired to Crosshaven, Co. Wexford where she was used for some years by venture scouts. 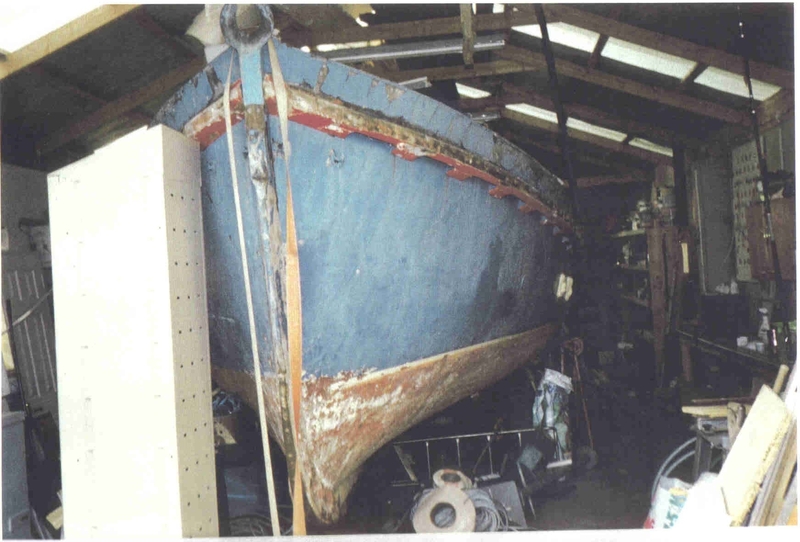 Unfortunately, whilst at Crosshaven she fell into disrepair and was rescued initially by a local man in Waterford who, quite out of the blue, contacted the now current owner for advice on restoring a Liverpool-type lifeboat. Learning that the boat was indeed the THOMAS CORBETT, the now current owner was given the opportunity to restore her after being brought back to Hoylake.